We’d love your help. Let us know what’s wrong with this preview of The Green Lantern Chronicles, Vol. 2 by John Broome. The 1960s adventures of Green Lantern continue in this new volume reprinting his stories in their original order of publication. Included are the Emerald Gladiator's battles with The Weaponers of Qward, renegade Green Lantern Sinestro, Hector Hammond, and introduces Tomar Re, an alien Green Lantern. 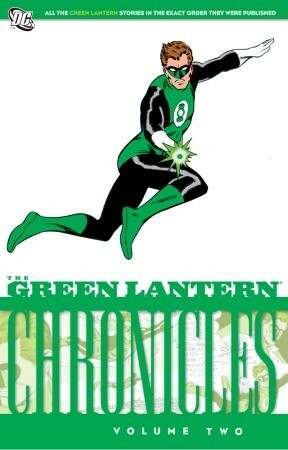 To ask other readers questions about The Green Lantern Chronicles, Vol. 2, please sign up. 60th book read in 2012. Number 101 out of 292 on my all time book list. Evil villans are almost always bald! The most difficult part of a superheroes life is managing his love life. The answer for all problems, including uncovering secret indenties, is marriage. In fact the only thing females think about is marriage even if they are running a major aircraft corporation. Don't sleep with your power ring on, you might turn your sterotyped sidekick into a bird. Card tricks are always a crowd pleaser at parties. This was just as good as The Green Lantern Chronicles, Vol. 1. I can't wait to get The Green Lantern Chronicles, Vol. 3. An improvement over the first volume with more creative storytelling and the introduction of two of GL's greatest villains, Sinestro and Hector Hammond. The art is great, but the gender politics and racial sensitivity are still unfortunate. See The Green Lantern Chronicles Vol. 1.